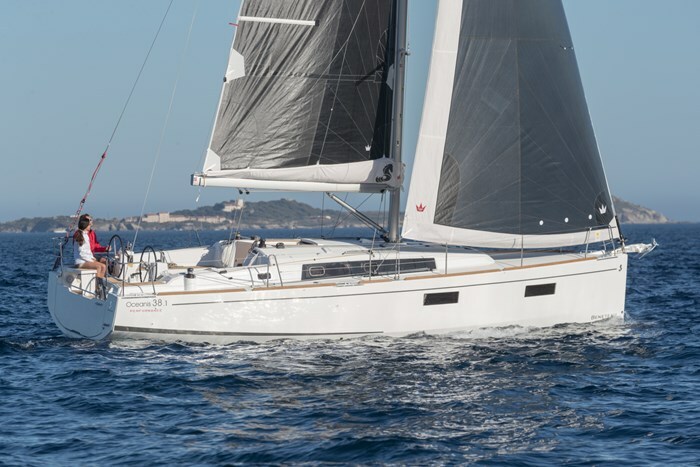 The evolution of the Beneteau Oceanis 35. The chined hull by the architects Finot-Conq stands for comfort and good balance under sail, making a particularly noteworthy entry into the market for this size of boat. With twin rudders, a mast positioned further aft and optimized sail plans, the hulls delivers excellent performance and offers incredible stability underway. A sensible sail plan, minimum heel, and single-handed sailing characteristics make this a boat that fits you rather than the opposite.